Welcome to my new one stop website which replaces www.maemckenna.com. I will post here everything that is happening regarding my solo music and vocal coaching as well as thoughts about music and life in general. Those who know me are aware that I have a lifelong interest in the healing and metaphysical aspects of music, so discussion of these topics is welcome here. In fact, I will be launching a sister site at www.heartvoxhealing.com primarily concerned with the therapeutic side of my work.  I started Heartvox out of a sense of frustration (to some degree) with the ever increasing generic output of the popular music industry. It seems that, more than ever before, attractive, airbrushed people are being auto-tuned and quantized and used as living adverts for sponsors. Not that I have anything against attractive people, :) and I have sung on adverts in my capacity as a session singer, it just seems that selling for corporations is the only reason many artistes are signed or played these days. Music truly touches when it is authentic and communicates. On a positive note, I hope this site will be a place where people can share music that really moves them, and in my capacity as a workshop leader and coach, I hope to help people express their own unique voices and energy.